Effect of the incorporation of zinc oxide nanoparticles on the flexural strength of auto- polymerized acrylic resins. Firas Abd Kati Dept of Optical Techniques, College of Health & Medical Technology, Baghdad, Middle Technical University, Baghdad, Iraq. Background: Auto-polymerized acrylic resins are commonly used in many applications in dentistry including in maxillofacial rehabilitation such as interim prostheses, denture repair, reline, orthodontic appliances, record base, among others. These substances, however, have some negative aspects such as poor mechanical properties. Aim: The objective of the current study was to evaluate the effect of incorporating zinc oxide nanoparticles to auto-polymerized acrylic resins on their flexural strength. Materials and methods: Thirty specimens were made from auto-polymerized acrylic resins, divided into three main groups (1 control and 2 experimental). Each group had ten specimens. The two experimental groups comprised the zinc oxide powder at 1% and 2% concentrations, respectively. Acrylic specimens were fabricated with the dimension of 65mm length, 10mm width and 2.5mm thickness according to ISO 1567 specification 1999. Each specimen was subjected to the flexural strength test by a universal testing machine. The crosshead speed for the flexural strength test was 5mm/min until fracture occurred. The SPSS version 16 was utilized for the statistical analysis. The ANOVA and Tukey were used for the comparison among all groups. Results: there was a significant increase (p<0.001) in the flexural strength of the acrylic resins following the addition of zinc oxide particles (control group: 133.27 SD 1.73, ZnO 1%: 154.28 SD 2.90, ZnO 2%: 176.45 SD 0.94). Conclusions: The incorporation of zinc oxide nanoparticles has a significant effect on the flexural strength of auto-polymerized acrylic resins. 1. Shrestha B, Hughes R, Singh RK, Suwal P, Parajuli PK, Shrestha P, Sharma A, Adhikari G. Fabrication of Closed Hollow Bulb Obturator Using Thermoplastic Resin Material. Case Rep Dent. 2015;2015:504561. 2. Moon A, Powers JM, Kiat-Amnuay S. Color stability of denture teeth and acrylic base resin subjected daily to various consumer cleansers. J Esthet Restor Dent. 2014;26(4):247–55. 3. Anusavice K. Phillips' Science of Dental Materials. 11th Ed. United States of America: Saunders; 2003. 4. Nunes de Mello JA, Braun KO, Rached RN, Del Bel Cury AA. Reducing the negative effects of chemical polishing in acrylic resins by use of an additional cycle of polymerization. J Prosthet Dent. 2003;89(6):598–602. 5. Yassin IN, Abdulmajeed AA, Al-Shammari F. The effect of adding micro zinc oxide filler to heat-polymerizing acrylic resin on some physical properties. Muthanna Med J. 2016;3(2):80–6. 6. Alhavaz A, Rezaei Dastjerdi M, Ghasemi A, Ghasemi A, Alizadeh Sahraei A. Effect of untreated zirconium oxide nanofiller on the flexural strength and surface hardness of autopolymerized interim fixed restoration resins. J Esthet Restor Dent. 2017;29(4):264–9. 7. Farhood IK, Rafeeq AK. Effect of Incorporation of Silver Nitrate on Transverse Strength and Impact Strength of Autopolymerizing Acrylic Resin. Karbala J Med. 2014;7(2):1992–9. 8. 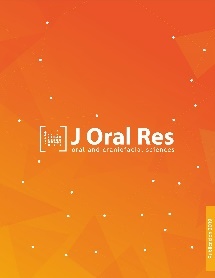 Cierech M, Osica I, Kolenda A, Wojnarowicz J, Szmigiel D, Łojkowski W, Kurzydłowski K, Ariga K, Mierzwińska-Nastalska E. Mechanical and Physicochemical Properties of Newly Formed ZnO-PMMA Nanocomposites for Denture Bases. Nanomaterials. 2018;8(5):pii:E305. 9. Karci M, Demir N, Yazman S. Evaluation of Flexural Strength of Different Denture Base Materials Reinforced with Different Nanoparticles. J Prosthodont. 2018:[Epub ahead of print]. 10. Andreotti AM, Goiato MC, Moreno A, Nobrega AS, Pesqueira AA, dos Santos DM. Influence of nanoparticles on color stability, microhardness, and flexural strength of acrylic resins specific for ocular prosthesis. Int J Nanomedicine. 2014;9:5779–87. 11. Al-shammari F. Effect of metal oxides on some mechanical properties of clear acrylic specific for artificial eye. Mustansiria Dental J. 2016;13(1):77–84. 12. Kamonkhantikul K, Arksornnukit M, Takahashi H. Antifungal, optical, and mechanical properties of polymethylmethacrylate material incorporated with silanized zinc oxide nanoparticles. Int J Nanomedicine. 2017;12:2353–60. 13. ISO 1567. Dentistry-Base polymert. Part 1. Denture base polymert. 3th Ed. Genéve, Switzerland: International Organization for Standardization; 1999. 14. ADA. American national standers institute/American dental association specification No.12 for denture base polymer. 12th Ed. Chicago, EEUU: Council on dental material and device; 1999. 15. Kim H, Kim J, Lee E, Jeong M. The mechanical properties of orthodontic resin according to the polymerization method and wire inserting technique. Int J Clin Prev Dent. 2009;5(3):165–76. 16. Li X, Liu L, Xiao Q. Using organic montormollontrite to reinforce the structure and flexural property of denture base nanocomposites. J Appl Polym Sci. 2009;112(6):3548–53. KATI, Firas Abd. Effect of the incorporation of zinc oxide nanoparticles on the flexural strength of auto- polymerized acrylic resins.. Journal of Oral Research, [S.l. ], v. 8, n. 1, p. 37-41, feb. 2019. ISSN 0719-2479. Available at: <http://www.joralres.com/index.php/JOR/article/view/joralres.2019.010>. Date accessed: 25 apr. 2019. doi: https://doi.org/10.17126/joralres.2019.010. Dental materials; acrylic resins; polymerization; flexural strength; zinc oxide.